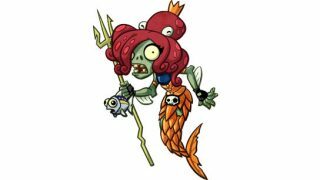 Make a 3 Strength/2 Health Octo-Pet with Amphibious. A Zombie gets +2 Health and Frenzy. A Zombie hides in a Gravestone. Draw a card. 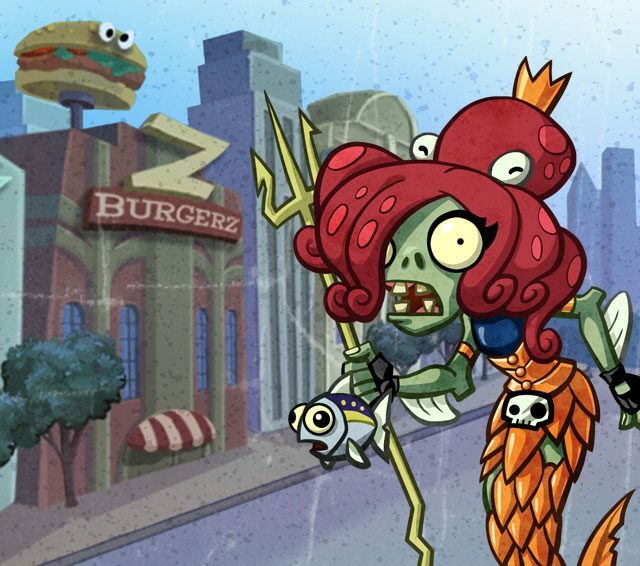 Neptuna bamboozles her opponents with a variety of deceptive Gravestone Zombies, while hitting hard in the water lane.